By Steve Kazella, Tower Genius LLC. What are average cell tower lease rates in 2019? How do you calculate the correct rental price for a rooftop cell site or tower lease? Determining the value of your cell tower at your specific location can be very frustrating. What is the going rate of a cell tower lease on my property? What should the price of my existing single-carrier or two-carrier cell tower be which is expiring in a few years? What does 2019 and beyond look like for rental prices? That depends on many factors, but the dirty little secret in the cell tower leasing industry is not the amount of rent that you are receiving on a monthly basis. 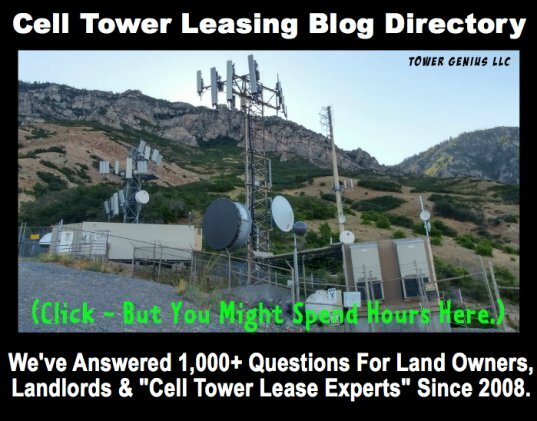 The truth about cell tower lease rates, is that nobody working for the carriers or tower companies is going to tell you the TRUTH about what your lease is really worth. And, there are a plethora of factors that come into play when determining the value and lease rate of a cell tower. Also, not all cell towers are apples to apples comparisons. And just because the guy a mile down the road is getting $30,000 or $45,000 annually from Verizon, that doesn't mean that American Tower or Crown Castle will pay you $30,000. The cell tower experts at Tower Genius can answer all of your questions. So what's the dirty secret? How Are Cell Tower Lease Rates Determined? In 2019, we've seen cell sites paying between $100 per year (that's right, $8.33 per month, to over $156,000 yearly with Top Tier cellular carriers, Verizon Wireless, AT&T, T-Mobile, US Cellular, Cricket, and Sprint. Monthly rental rates for the "Big 3" tower management companies, American Tower, Crown Castle International and SBA Communications can range from $3,600 per year to well over $60,000 per year. All lease rates regardless of carrier or cell tower developer are site specific and vary from location to location and are based on the demand for coverage and the availability of potential locations to lease ground space, tower space or rooftop space. This is a question that we have been asked hundreds of time, how do you know what the cell tower lease is worth? What determines a cell tower's rent value? 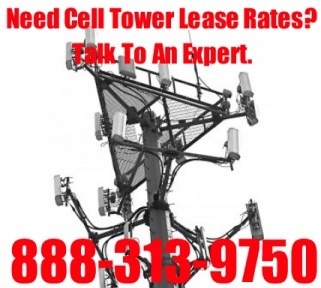 Do you have cell tower leasing rate comps? How do you determine what the cell tower lease rates are for my location? How do you know what to ask for? Carriers and Tower Companies will often tell you that cell tower rents are based on a square foot price. It is true, that many cell tower landlords have been bamboozled into accepting this sort of pricing. We simply reject that, since wireless telecom leasing is not like traditional commercial real estate, and is not determined by a price per square foot. We have written on our cell tower blogs extensively about this, but it comes down to basic cell tower laws of supply and demand regardless of what the carriers tell you. 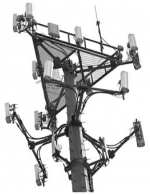 The cell tower experts at Tower Genius LLC have reviewed tens of thousands of cell tower leases over several decades. Here a dirty secret you may want to know. Publishing a cell tower rental lease rate map or list of locations and rental rates is deceptive and meaningless since each lease value is determined on a site by site basis, and a map means absolutely nothing. 1. Demand. What is the demand for coverage? Are a lot of people in your are complaining to Verizon, T-Mobile, AT&T and Sprint about dropping calls, or do you have poor coverage? 2. Supply. What is the supply of existing sites and what are the limiting factors? 3. Topography. What's the topography like? What's the difficulty factor involved in providing coverage to the area? 4. Zoning. What does the zoning code say in their wireless ordinance? 5. Competing Sites. What about competing existing structures? Would the building owner across the street lease to a carrier for less than you are asking, and do they have a better line of site from their rooftop? 6. Other Factors. Is it a new tower being proposed or an﻿ existing cell tower lease being extended where you can﻿ jack up the rent a bit? Is the tower a single tenant site or multi carrier cell tower? Is it a direct carrier lease or is a developer the Lessee in the agreement? 7. Square Foot Price. This is not traditional commercial real estate, even if the cell tower carriers want you to believe pricing is based on price per square foot, they are telling you false information. This is why you need to talk to us. The cellular carriers aren't going to explain to you how to maximize the value of your lease. Can you afford to negotiate a cell tower lease without professional guidance? Call Tower Genius Today! You will always speak to one of the owners, to either Kevin Donohue or Steve Kazella. Cell Tower Lease Rates Myth... Busted. 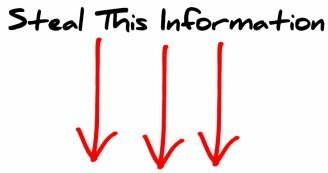 Here is some genuine honest to goodness fake news surrounding cell tower rent values being promoted by other cell tower lease experts and advisors. They way to "show you cell tower rates near you". We are calling this out as Bravo Sierra. Cell Tower Lease Rate Myth: There is a magic cell tower database with lease rate comps for determining the value of your cell tower rent. While many experts may want to tell you a range, or show you cell tower rental prices near you, that means absolutely nothing. Just because your neighbor's cousin is getting $1,600 hundred per month from Verizon Wireless, the does not mean that SBA Towers, Crown Castle or American Tower will pay you $1,600 in the same town, same county or same state. Forget About Cell Tower "Comps" In Your Area. All Cell Tower Lease Rates Are Determined Individually, On A Site By Site Basis. Call Tower Genius, The Cell Tower Experts. Above is an example of rooftop cell site lease rates along an extremely high traffic interstate corridor in a densely populated urban area. There are multiple rooftop cell sites in the area with all major wireless carriers represented. As you can see, there is a wide range of cell tower rent rates on this map with monthly rents ranging from $1,900 per month all the up to $5,600 per month. Actually, one of these locations is a Tower Genius negotiated rooftop cell site. But why the wide range of rents? Myth Busted. And here's why. All of these rooftop cell sites were leased at different times and they all had different starting base rents and rental escalations. Just because a cell site landlord may be receiving $6,000 or even $7,000 monthly on a rooftop cell site lease with Verizon, AT&T, T-Mobile or Sprint, that doesn't not mean it's what they received from day one. It may be a very mature cell site at a premium location that has been on-air for 15 or 20 years and has escalated at 3% or 4% annually. There is a potential difference is rental values on direct carrier leases of urban rooftop cell sites, but those values will potentially be impacted as more small cells are deployed at the street level on lamp posts and telephone poles. There is a difference between Verizon Wireless and AT&T cell tower lease rates where Verizon and AT&T are paying a factory smokestack owner directly, and a Verizon or AT&T cell tower rental being paid to the same factory owner where a free standing cell tower is owned or managed by American Tower Corporation, Crown Castle or SBA Communications. They are not apples to apples comparisons. As The Terms You Negotiated. Wireless carriers and cell tower companies pay many of their leasing agents (site acquisition consultants) performance bonuses for bringing in leases at lower rates and with favorable terms that favor the carriers and tower companies - not you. They will swear to you up and down they don't have "bonuses" built in. Come on, who are they kidding? It's a sales organization and this is America. Of course they are incentivized to get you a less than favorable deal. Cell tower land lease rates are not based on a price per square foot. Now it's true that many property owners have agreed to lease rates or collocation pricing based on a square foot price, but that's now how rents are valued. Just a 1% difference in yearly rental increases can easily equal a difference of a whopping $170,000 over the 25-year lifetime of the typical cell tower lease. Likewise a reduction in your rent can also take the same amount of future cell tower rent out of your pocket. On a three carrier cell tower, that's over a half million dollars of lost revenue over 30 years if you or your attorney don't know what to demand during the cell tower lease negotiation. A wireless carrier may pay their leasing agents a few hundred extra dollars to get you to agree to this type of rate, and they have many other price points for which they pay out performance bonuses – ALL of which come directly out of your pocket in the long run. What's The Bottom Line For Cell Tower Lease Rates? The average cell tower rent is going to vary from county to county and state to state -- and they also differ depending on which carrier you are dealing with, they amount of pain they have (bad coverage and tough zoning laws), and their budgets. For example, in 2018 we negotiated deals with various carriers in different counties between $19,000 per year ($1,583/month) and $39,900 per year ($3,325/month), so it really comes down to supply and demand of properties, where a carrier can locate its base station equipment, tower and antennas. We saw several mature multi-carrier towers paying landlords over $120,000 annually, and also saw multiple established rooftop cell sites paying over $6,000 monthly. Leases rental payment compounding annually are a beautiful thing! How can you truly know if you are maximizing your location's profitability? Talk To A Cell Tower Leasing Expert. We help land owners and building owners maximize the rental rates that they receive on their cell tower ground leases and rooftop cellular site leases with all major wireless carriers including Verizon Wireless, Sprint (Nextel), AT&T (Cingular), T-Mobile (Omnipoint - VoiceStream), US Cellular, and Cricket (now a part of AT&T). 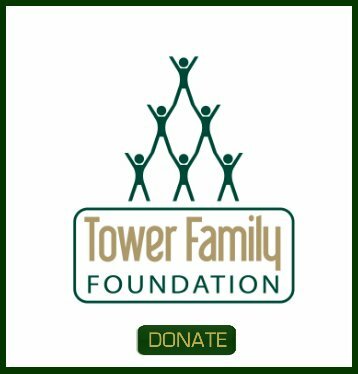 If you have a tower owned or managed by American Tower, Crown Castle or SBA Communications, we can provide the kind of professional guidance that you need to determine the fair market value of your cell tower and help you to negotiate a fair lease or amendment with your tenant. But even more important than the cell tower rental rates -- we pay extremely close attention to the LEASE TERMS. Yes, we've just about seen it all and can tell you without a doubt that ALL cellular site leases are heavily slanted in favor of the wireless carriers. We level the playing field. We know where there is wiggle room to negotiate, and where their isn't, where we can push the carriers to accept terms, and where we can't, and where we can squeeze them for better rates. And no, we are not attorneys. Most lawyers no very little about cell tower lease rates and values. That's why attorneys frequently hire Tower Genius as their advisors to assist their clients. The Managing Partners of our Tower Genius LLC , Kevin Donohue and Steve Kazella have have nearly fifty years of combined industry experience and have literally reviewed and negotiated thousands of cell tower leases over the courses of their combined careers, and can quickly and efficiently review your contract and negotiate on your behalf. Tower Companies like Crown Castle International, SBA Communications and American Tower Corporation like to cry poverty and usually don't want to pay a rent increase in addition to revenue sharing. When you push them a little too hard, they sometimes threaten to move the tower or send it out for an "ASR" Alternative Site Review. These are usually idle threats, but that's why landlords should have their cell sites analyzed to make sure there aren't other factors such as a nearby competing tower that they can use as leverage against you in a cell tower lease negotiation. Looking into the future of cell tower lease rates, Tower Genius believes rental prices should remain stable in 2019 and 2020. Beyond that, we are forecasting a higher potential for reduced cell tower rents for landlords if certain disruptive technologies and advances in wireless telephony, namely hundreds of thousands of small cells, are integrated into the carrier networks on a mass scale that meet coverage and namely capacity needs. In layman's terms, if they can significantly improve coverage with other technologies that work in conjunction with your cell tower, and they can possibly eventually replace your cell tower with that newer technology, eventually the carriers can get enough muscle to get you to accept a rent reduction or take down your cell site or tower. If you have specific questions about what you can do about this as a landlord, you need to call us at 1-888-313-9750 to discuss. If you need assistance in reviewing or negotiating your lease or for questions regarding CELL TOWER LEASE RATES - CONTACT US TODAY. Speak with a cellular site leasing expert, call us during regular business hours from anywhere inside the United States, Monday - Friday from 9:00 AM Eastern to 6:00 PM Pacific Time. We can answer your questions about cell tower lease rates or any other carrier lease related questions you have. Call Steve or Kevin today: 1-888-313-9750. Check Out Our Cell Tower Lease Rates Blog. Property Owners, Landlords, Do You Have Questions About Cell Tower Lease Rates? Entering your question is easy to do. Just type!... Please give us as many details as you can. What is your fee range for negotiating a new lease? How do I find a lessor for my antenna? How far is one tower owned by one of the big three compared to a tower owned by another big three? Offered $1,000 month for 5 years, with 10 year renewal. Steal a tower away from my neighbor. How much land is needed for a tower? How much actual ground / land is necessary for a tower? If property zoning permits the structure, is it safe to live in close proximity to the tower? Hi- considering leasing my rooftop located in hollywood, FL right off the I-95. What can I expect the lease rate to be? Thanks! What is the going price per month on land RENTAL in my area here in Midnight MS? How are lease rates affected by site services? A company wants to lease space for a cell tower. I need to determine the value of my site. What is a Right of First refusal? It was intentionally omitted and not addressed at all in our lease with AT. How much should I increase the lease ($1900 a month) for a renewal if they have multi carrier cell tower? Crown Castle takes buys ATT leases. Looking at a standing steel tower is there a way to know how many tenants ( different cell companies) use the tower? Establishing a value for an established 4 carrier monopole tower - lease renewal. What is the Average Tower Lease Rate per month for Yucca Valley, CA? I want Verizon to take out a performance bond to cover the cost of removal at the end of the lease. Lease term is 25 yrs. Has this been done before? dimensions required for a cell tower and for the property it will be built on. Im buying property in Tellico Plains, Tennessee. There are two towers on the property. Do the tower people own the land or rent it? What is the average amount of land these companies look for? If you purchase land with a cell tower, does the contract have to be re-negotiated with the new land owners? The tower owner added antennas to the tower with out my knowledge can I up the rent? Who pays the electric bill at a cell site? How is it separated from the building it sits on? I own 20 apartment communities and I have been contacted. I am looking for a good firm to represent me obtaining leases. How much incentive? Have 17 years left on current. How do we determine the minimum monthly rent, which is the only item to be negotiated with our final 10 year extension? A company contacted me about my rooftop location, now what? I'd like to know the above. How much do you charge for this advice? Does population density matter? does altitude matter? Market value of my existing tower ? If I purchase land with a tower am i obligated to the current contract? Do the monthly payments rate of a wireless communications, depends on the square footage or height? What is the rate for rental on roof for antenna - commercial building. Now they want to lease it forever for 5 thousand upfront and 750.00 month for 10 years and 30 to us and at the end of ten years should I do it. How much income would a cell tower generate for a residential 9 story apartment building? Thank you. I have a 140 foot tower for a wind turbine on my farm. Will/can cellular companies install on my tower? How do I find out who is getting paid - they are not sending me any money. What if the tower is not on your land but your land provides the only access to the tower? We have a cell tower on our commercial property. There is one carrier. How do we get other carriers without relinquishing our rights? Can you offer consultant services to Puerto Rico? Where do the cell tower leases get registered? WE WERE CONTACTED BY TMOBILE TO LEASE 20'X 20' COMPOUND TO INSTALL A 70' MONOPOLE FOR WIRELESS SERVICES. HOW MUCH SHOULD WE CHARGE FOR THAT? They want to add a generator to my site. What should I ask for in additional rent? They installed a Generator on my site and never contacted me. Should I get extra rent for this item? I have a company wanting to lease a 60X60 foot area of dirt on my back property. How do I know what it is worth? What are cell tower lease rates in California in 2012 and have they changed since 2011? Not sure what the going rate would be. What determines cell tower lease rates? I would like to know what the average site lease rate should be for a rural 4g tower with verizon and AT&T providers already on the tower. Is 750.00 per month with 10% escalator every 5 years and a total term of 40 years a fair price in rural southeast Kansas? How do I determine what carriers are on my leased cell tower? what should the lease rate be for a cell tower in Bucks County Pa? What is the going rate in Lafayette, Louisiana? The lease is with Crown Castle. I want to lease my office roof top in Antioch, CA for antenna use, how can I find the customer? How do find out who has the currant lease & rate for the mono pole on property that I recently acquired? How do I know if there is a need in my area? VERIZON NOW HAS A TOWER ON MY PROPERTY. CAN I LEASE ANOTHER SECTION OF THE PROPERTY TO ANOTHER PHONE COMPANY? How much land area is needed for a tower? What is the montly payout for the use of my land? How do I get started, getting a tower on my farm? I own a farm in GA, and KY would love to get a tower on each of them, how do I get started? What is the average lease rate in Salt Lake City? Rates for AT&T cell tower on commercial property in the city? What is the range of cell tower rental rates for the areas around Riverside California. I am currently looking for a property that I would like to lease for cell tower usage. Would you know where towers are needed most?